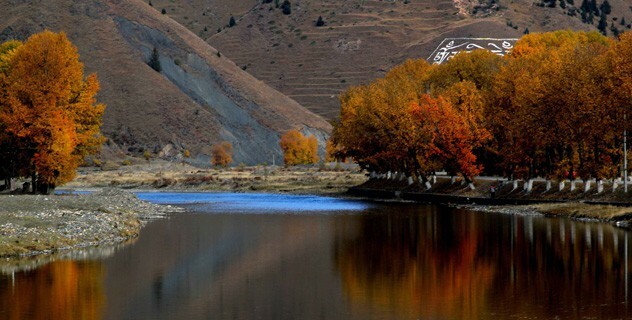 Red China’s mining activities in Occupied Tibet are illegal. I ask the global community to refrain from purchasing Made in China products for they are products of illegal activities. Dharamshala — More than 100 Tibetans have protested against Chinese mining operations at a site considered sacred by local Tibetan residents, drawing a large police force to the area and prompting fears of clashes. ‘The protest took place at Yulshok Gargye in Minyak County, Kham Province of eastern Tibet (Ch: Minya Konka, Kangding County, Sichuan, China),” on May 4, 2016,’ Aka Penpa, a monk from South India told the TPI. 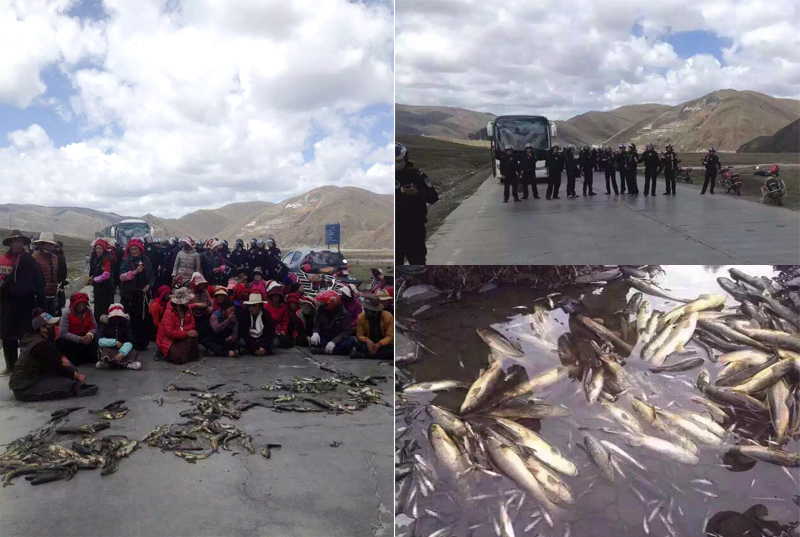 “About 100 local Tibetans then gathered in Yulshok Gargye to demand an end to the project and calling for urgent action to protect environment and wildlife,” he added. ‘Chinese authorities deployed dozens of police forces in vehicles to the protest site, immediately after the event,’ TPI’s source said. Mt Minyak Gangkar is one of the highest mountains in Kham region of eastern Tibet, which is located near Dartsedo City. It is with elevation of 7556m. The town of Dartsedo was an important trade center between Tibet and China, and for centuries its importance lay on the tea-horse trade. Mt Minyak Gangkar is one of the most sacred snow capped mountain in the Kham region. Mining operations in Tibet have led to frequent standoffs with Tibetans who accuse Chinese firms of disrupting sites of spiritual significance and polluting the environment as they extract local wealth. The operations also have caused landslide, severe damage to local forests, grasslands, and drinking water. Waste from the mines has been dumped in the rivers, and mining activities have polluted the air. by The The Tibet Post International.